Mariachi ensembles provide some of the most distinctive, dynamic music of Mexico. A quick glance at the current popular music scene in the United States reveals the increasing influence and vitality of the Mexican and Mexican-American Mariachi tradition. Linda Ronstadt has recorded (and toured throughout the USA) with some of the best Mariachi musicians. Movies such as "Mi Familia" highlight this vibrant music. Los Mariachis! 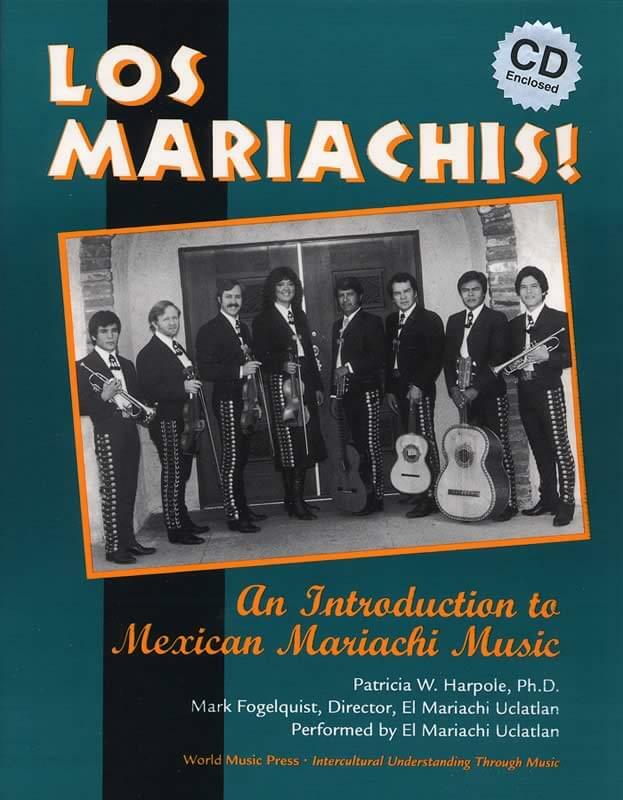 looks at the history, instruments, and sounds of the Mariachi tradition - a sound which is being heard more and more outside of Mexico. States throughout the southwestern US, including Texas, New Mexico, Colorado, Arizona, and California, and other urban areas, such as Chicago and in Washington state are home to numerous Mariachi ensembles. The companion audio CD includes the complete narration as well as all the musical examples, pronunciation of the Spanish lyrics and complete performances of two songs, performed by El Mariachi Uclatlan.